STAY tuned to Augustman.com for the latest updates on Milan Fashion Week as we bring you the Giorgio Armani FW19 show, happening on February 23rd, at 9PM CET (February 24th, Sunday at 4AM SGT) in Milan. If Armani’s SS19 collection was of any indication, the designer has a penchant for revisiting old archives for new inspiration and it shows: One feature was the soft silhouette that he had brought back from the originals in the ’80s. Other things we loved included the fedoras, berets and the larger-than-life lapels on the suit jackets. Perhaps amidst all the rave about the merger of streetwear and high fashion in the industry, there is an unwavering stance that as far as new seasons come, embracing the old is gold, but never outdated. 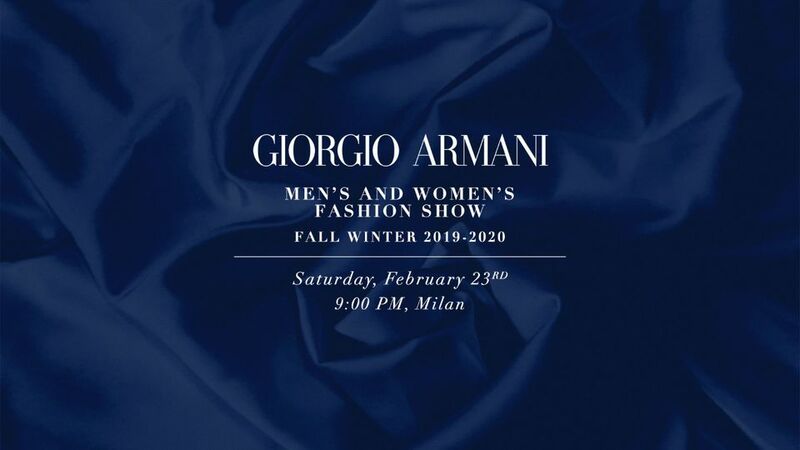 Whether they stick to their tried-and-true methodology this time, only time will tell as we count down to the commencement of the Giorgio Armani FW19 show. In the meantime, catch up on our Runway Rundown on the most iconic menswear looks this season – Part 1 and Part 2. If you wish to catch up on the other front-runners in Milan Fashion Week, click here.